August marks the end of the summer, which means back to school. This can be a stressful time for those unable to afford basic school necessities. 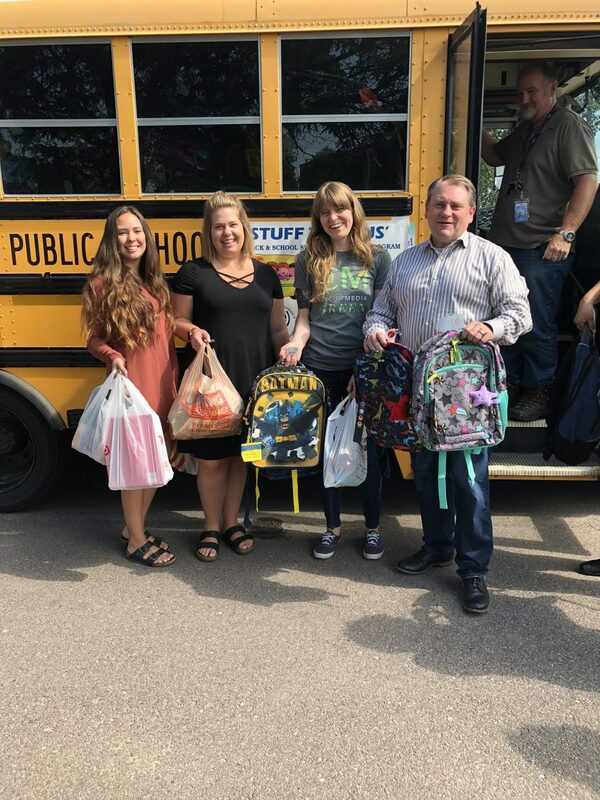 Circuit Media wanted to be part of the “Stuff the Bus” school supply drive to ease that stress for some of those students. This week, employees gathered school supplies to donate to the “Stuff the Bus” Backpack and School Supply Drive hosted by the Minority Enterprise and Education Department (MEED). Employees donated backpacks and other basic supplies to deliver as a group to Denver Public Schools. Some supplies for kindergarten through high school students included sticky notes, rulers, notebooks, and pencils. According to MEED, 92,984 students attend Denver Public Schools. Of those, 62,220 take advantage of free or reduced-cost lunches, and 2,113 are completely homeless. MEED has been donating school supplies to these students through “Stuff the Bus” for 16 years. MEED is a Colorado non-profit based in Arvada. They provide minority communities with educational opportunities through scholarships, training, and celebrations of Colorado’s cultural diversity. Circuit Media enjoys giving back to the community and was excited to donate several backpacks and lots of school supplies!